Yes!3 was developed to help you create that life. listen for what it intends to do with you." Rather than egotistically creating your own life, Yes!3 uses appreciative inquiry and conversation to help you awaken to the life-giving purpose that is already within you. We are made for a purpose. We have been fully equipped with gifts and talents to fulfill that purpose. We most closely manifest our purpose when we are at our best, being and doing those things that flow from the core of our being and bring deep satisfaction. Life and the abundant life that Jesus' promised comes from what we deeply and profoundly say yes to, for it is in what we say Yes! to that we manifest our God given purpose. deep gladness and the world's hunger meet." 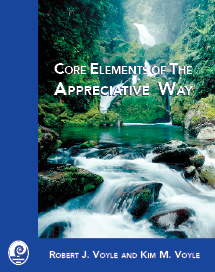 To help people discern and manifest in the world their core purpose for being. To grow an appreciative culture within church communities. we just need to help people to discover and be their best." A popular misconception of the Christian life is that we can only say yes to God or our neighbor by an act of self denial in which we say no to ourselves. However such actions are spiritually and emotionally unsustainable. They are not ecological. The self-denial that the Christian faith talks about is saying no to the transitory distractions that keep us from the fundamental purpose for which God created us. the "yes" to our core purpose that the "no" allows. We have extracted the Day of Discovery retreat session from the Yes!3 program to create a stand alone retreat day. 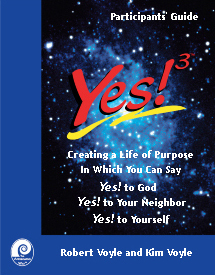 At its heart Yes!3 simply assumes and uses the belief that we are created by a loving God for a loving purpose. It is our hope and prayer that participants will discover that purpose and lovingly manifest it in the world in a way which is a blessing to others and themselves and evokes wonder and awe of the One who created it all.